A stock investment course that spans from risk management, portfolio management, financial management as well as strategies in stock investing. The course focuses on the building of a stock portfolio. The main thrust is to help students sharpen their investing skills in building a robust portfolio as well as to avoid making serious investing mistakes in their investing journey. The course content cuts across many areas such as financial management, risk management, portfolio management, investing pitfalls, investing psychology as well as investing strategies. As investors, we all know that the learning experience throughout our investing journey never stops. Our investing wisdom builds on our past experience as well as learning from mistakes made by other people. By putting these experiences in a structured manner, it helps shorten the learning curve of serious investors. Substantial effort has been spent on researching important information to bring out the key learning points so that students can learn from them. It is intended to be kept as a ‘live’ course as learning is indeed part and parcel of our stock investing journey. Additional videos shall be put up from time to time to keep the course content extensive and up-to-date. Depending on the student’s background and investing experience, students can zoom in to the subject of their interest selectively. However, students are encouraged to study the entire course in order not to miss out any valuable learning points. ✔ Sector analyses and stocks selection to build a defensive portfolio. As a start, a total of 15 videos that spans a total of 4 hours will be launched. The videos will be categorised under four sections in this course, namely: The investing journey, terms and explanations, investing psychology and tricks and strategies. Going forward, it is intended that additional videos be added in future to make your learning journey extensive and up-to-date. The course targets those who are serious about stock investing. It is about avoiding critical mistakes, capitalizing opportunities and bringing the best results out of our stock investments. It is recommended that that this course be taken in conjunction with the other course “Value Investing: The Essential Guide”. 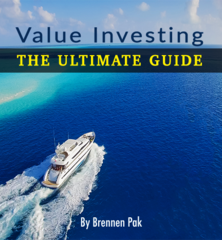 The Essential Guide provides the basics and lays the foundation that every value investor needs. Check out The Essential Guide. 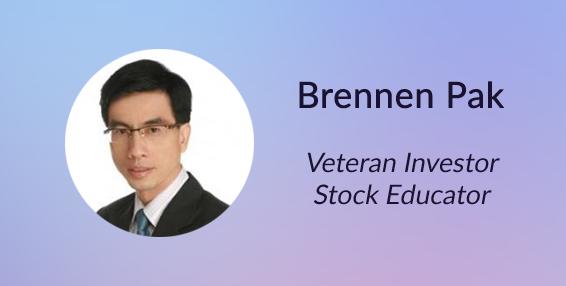 Together with this course, the combination is an impactful, complete and continual approach that every true value investor needs for his own investment journey. In numerous studies on investing psychology, many newly-minted investors think that they can invest better compared the other investors out there. It is like many drivers who think they are better drivers than the others on the road. The reality was that they got into road accidents just as many times as what was found in statistics. What's worst, their over-confidence made them paid a high price. They tend to speed, making unnecessary stunts and taking illegal turns. Of course, one may think that he is making money just as the stock market is advancing. He thinks that he is a hero and does not need any sort of guidance. But all that could evaporate overnight and he finds himself swimming naked when the stock market recedes. Ask ourselves why a top tennis player or a top golf player still needs a coach who cannot even play better than him. The reason is that everyone has blind spots and this can be costly especially during times of stress. You might wish to purchase the other course "Value Investing: The Essential Guide" as well, which teaches the basics of value investing such as the fundamental analysis on stock valuation. That course is specifically catered for beginners to help them build a solid foundation. Event-based course fees to learn value investing can cost a huge sum. Apart from the financial aspect, time is a big constraint for many of us especially for those with families whose members are dependent on us. Thankfully, technology is right at our footstep. It is here for us to harness upon as far as learning and acquiring knowledge is concerned. That is exactly why we put this course online. For a fraction of an off-line course fee, you can start and learn according to your own pace, at any time and at any place so long as you have an internet access.